A variety with an extraordinary, universal appeal: Grillo 100 %. First brought to Sicily by the Phoenicians, it has managed to survive since then by appealing to countless generations of winedrinkers. 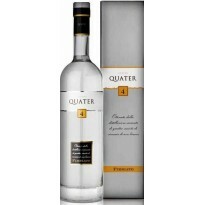 First of all it entices with its brillant golden colour; then seduces with its intoxicating and complex aromas of almonds, apples, white flowers with hints of sage, thyme and rosemary. 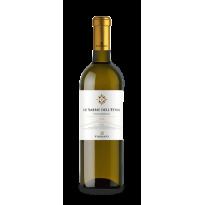 The palate shows Grillo's noble breed with a full, yet caressing structure. Finally, The perfect equilibrium of fruit, texture and acidity crown Grillo's natural birthright as a wine of unique character. Vineyards location Trapani province - Guarini Estate, 300-400 mt. a.s.l. Alcohol 13,5 % by vol.